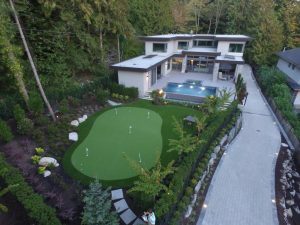 Drone shot of artificial grass putting green and pool - Curb Design Inc.
Drone shot of artificial grass putting green and pool. 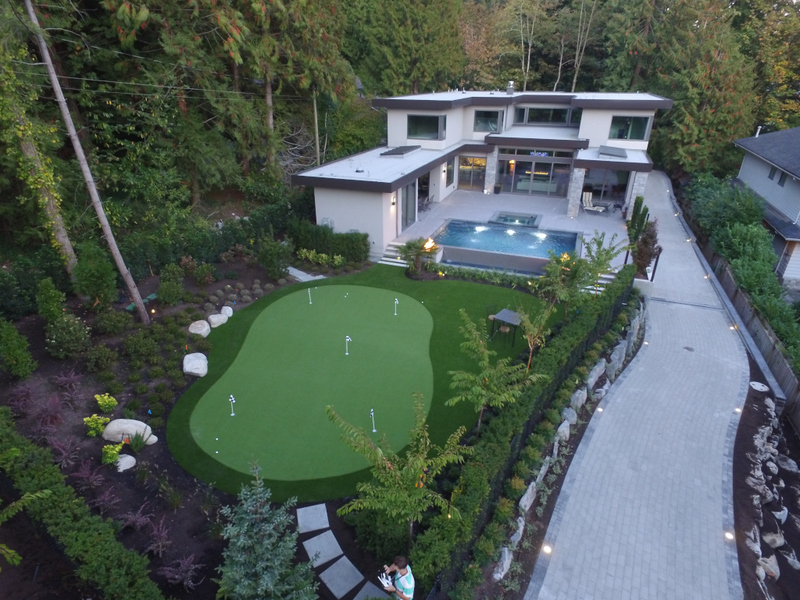 Landscape is backed on a green space. Stunning large concrete driveway.